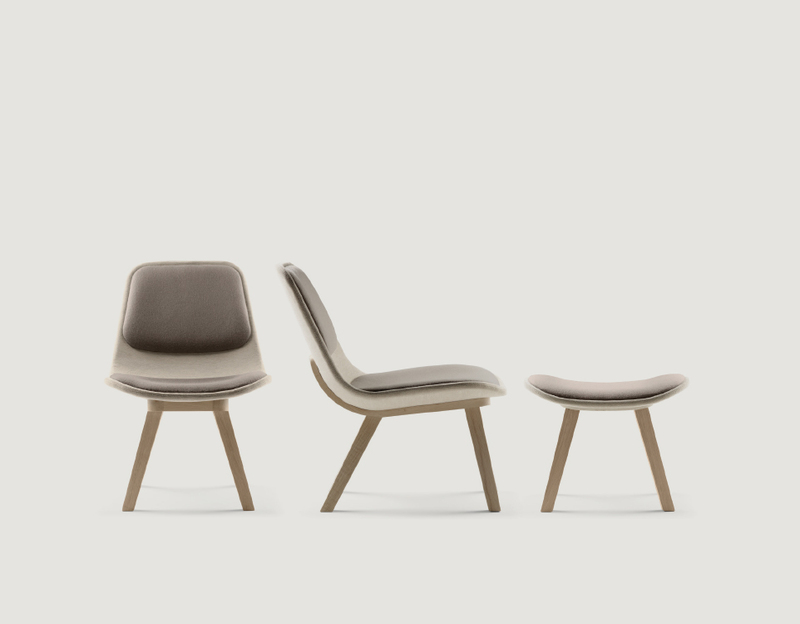 KUSKOA family is enriched with a lounge chair. A large and delicate shell particularly comfortable, finely upholstered , placed on a solid oak trestle. Many choices of fabrics are available for this new collection of chairs and ottomans. KUSKOA LOUNGE fits both in the residential sphere as well in hospitality or contracts.